A few months ago I was told by someone that another particular person did not give two hoots about what I thought. Now I do not believe that the person concerned was purposely intending to be nasty or hurtful to me but those words ‘couldn’t give two hoots what you think’ had a deep impact on my thoughts process. My thoughts ran like this: Does the person who said those words to me give two hoots about what I think? 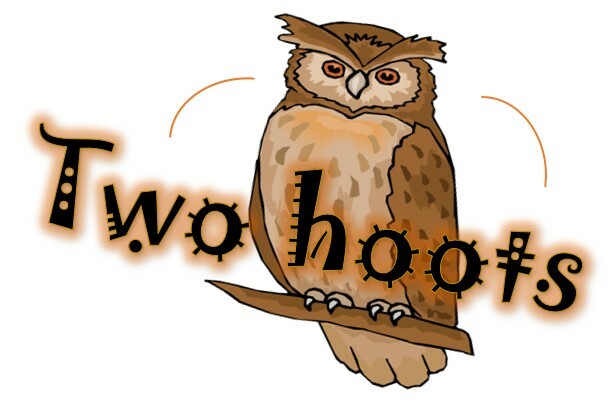 Does anyone really give two hoots about what I think? After all, I don’t live in a mansion and have plenty of cash to flash around. I have my health issues. I do not belong to some popular political party, big church or esteemed organization. I am not a celebrity. I do not go along with all the ‘leftie’ thinking that’s going about today. So, why should anyone give two hoots what I think? My opinion is worthless. It does not matter. So, why bother giving it? In fact, why should I spend so much time preparing little Bible-based studies, thoughts and picture texts to share on the internet, if no one gives two hoots what I think? I had to stop right there for I must confess I felt a wee bit like Jeremiah in the Bible. God’s Word is a joy to me and I love to share it in the little way I can. However, if people do not give two hoots what I think, or even what I share from God’s Word, why should I keep doing it? When Jeremiah was derided daily and mocked for speaking God’s Word, he decided to stop telling it BUT he found that God’s Word was so burning within him that he just could not hold back from speaking it (cp. Jeremiah 20v7-9). That kind of describes a bit of how I feel. Life has a big void if I cannot share God’s Word…that message that so burns within my heart to get out, even if no one gives two hoots what I think. A couple of weeks back I opened Facebook one morning and two precious promises that God had given me years ago just came up in my newsfeed. John 15v16; Exodus 33v14. This was no accident. God was showing me that even if some people didn’t give two hoots about what I thought, He had chosen me and He cares about me. I am important to Him. It matters to Him what I think. He wants my opinions to be so rooted in the Bible that I am actually propagating HIS will. I may be weak and unimportant by this world’s standards but remember God uses such people that He alone should have all the glory (1 Corinthians 1v26-31). This gives me great encouragement to keep going, even when I know that others couldn’t give two hoots what I think. In conclusion, your opinion is not more important than mine, just because I dare to differ with you, or even because you couldn’t give two hoots what I think. We all have the right to our opinion but that does not mean we are right. We may be sincere in what we think and believe but we can be sincerely wrong. So, we all need to make sure that our opinions line up with what God says in His Word, not against it, because one day we are all going to be judged by the standard of God’s Word (cp. John 12v48). At the end of the day, it is what God says that matters! Thanks for taking time to read this blog post. Hope I haven’t come across too harshly but I just wanted to share how God encouraged me to keep going when I was made to feel inferior.